This is my favorite kind of memoir - brutally honest and so emotional. Tragedy strikes anyone, anywhere, anytime, but it's how you handle the tragedy and where you take your life from that moment on, no matter how long it takes you to get to where you need and want to be. My Motto: "It's never too late". Canadian pop group Rush's drummer, Neil Peart, experienced extraordinarily crushing tragedy in his life. His way of handling things may not be everyone else's way but that's not the point - the point is he did something - he tried. He also had the foresight to take notes along the way and also had the talent to put together a book. That in itself is cathartic, whether or not it gets published - I know. 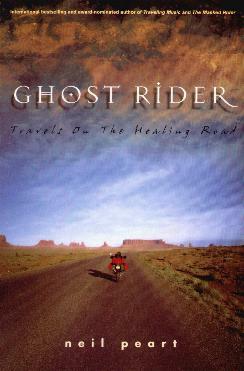 He takes us on his four-month journey by motorcycle across Canada to Alaska, down through Idaho and Utah and Nevada to Arizona and California, to Mexico and Belize. Quite a journey! All the while he journalled and wrote letters to friends and family back home and around the country. His illuminating descriptions of his surroundings (and his feelings) bring this book to life. His brave attempt at restoring his sanity is commendable and enviable. The trip wasn't plain-sailing and neither were his emotions. The second half of the book deals with his return to his home in Canada and how he faced familiar things around him - things that were a constant reminder of his loss. By the following summer he's off again on his bike on another tour of America. He copes by keeping active and getting out there - a great example. Eloquent writing. Conclusion - I loved his honesty and openness about his sadness. Thanks for the immense encouragement.